Alligator wrestling was first used by Native Americans as a survival technique to capture and transport live alligators back to their camp for food and hide. This tradition dates back hundreds and hundreds of years. At the turn of the century alligator attractions helped Native Americans generate revenue. 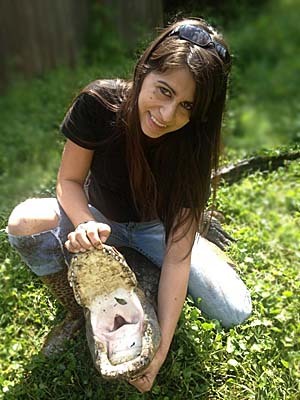 Today alligator wrestling is used by many facilities as an attraction and educational tool. The term alligator wrestling in itself is misleading and oftentimes misunderstood. There is no hitting, punching, kicking or harming of the alligator in any way. We always treat the animals with much deserved respect and they are handled in a humane manner. 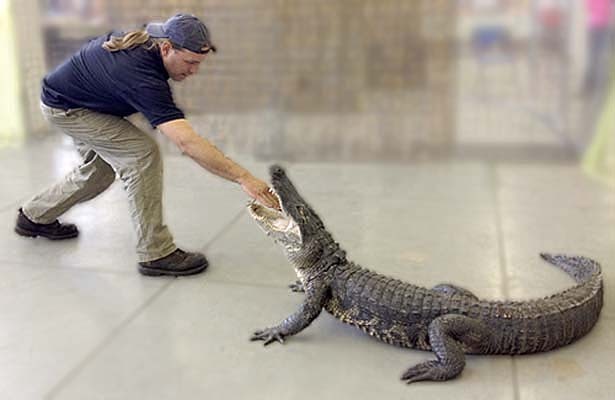 The barehanded capture techniques are in no way harming or causing pain to the alligator. Simple tricks and stunts are performed while presenting interesting and educational facts to the public. Any animal handling itself can be stressful to an animal and the handler alike. We reduce stress by keeping handling to a minimum and by having many alligators to choose from which allows long periods of rest between uses. Most stunts performed will illustrate the speed and agility of the alligator. Some stunts are added in as crowd pleasers. Our handling shows are a mix of education and excitement and are perfect for both indoor and outside events of all sizes. Our large traveling cage keeps the public at a safe distance but only inches away from the handler and large alligator. 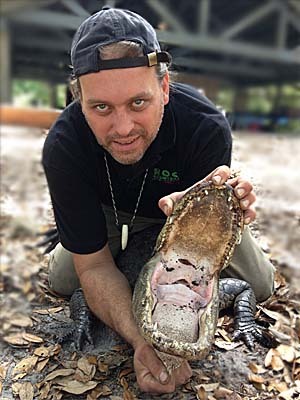 Alligator handling shows are available throughout Florida and as a traveling exhibit throughout most of the U.S. Croc Encounters has licenses/permits for alligators in many states and can usually obtain one in any state given enough notice. Our handling shows are approximately 20-30 minutes long and can repeat throughout the day. Show times can be tailored to fit any schedule.